Revolution Personal Training Studios Ltd, Bury Street, London - industry leaders of fitness, lifestyle and nutritional guidance. 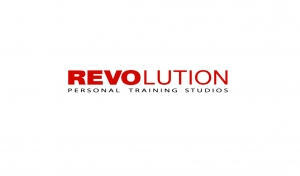 Revolution Personal Training Studios was launched in 2005 by brothers Rob and John Grim and their close friend Giuseppe Di Credico. 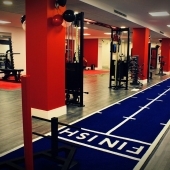 They set up their gym in the prestigious Business Design Centre in Angel, Islington. All three directors had previously worked at a large gym chain and become hungry for a project of their own. They felt disillusioned that people were buying memberships for gyms but not attending regularly, so they were inspired to develop a different approach to motivate clients to achieve their goals. Their dream to open another studio in Central London was fulfilled this year with the opening of Bury Street, and we at CYC are proud to have played a major part in this continuing success story. Having worked previously with the Revolution PTS team, we were approached by Giuseppe to plan and design the brand new facility in Bury Street. We were to propose equipment and colours in keeping with the corporate identity of the Revolution brand, and supply and install the very latest cardiovascular, strength equipment, free weights and accessories. We had some innovative flooring solutions in mind, fit to withstand the most complex and varied of movements carried out in training. We are absolutely thrilled with the results achieved at this facility, which is directly opposite The Gherkin on Bury Street, Central London. 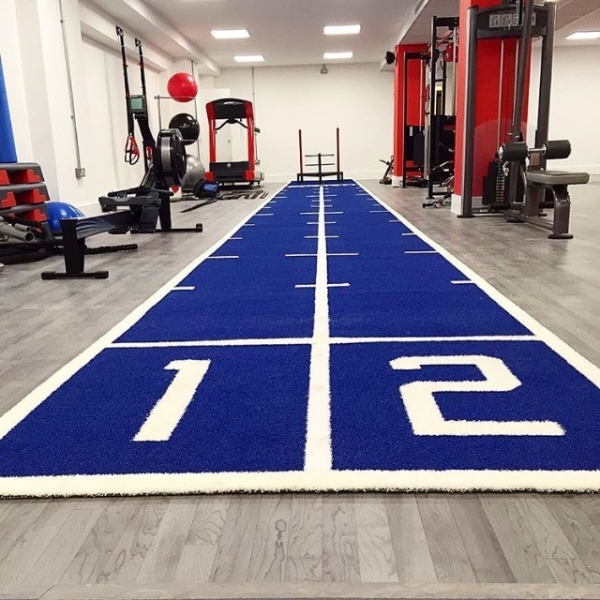 Working closely with Giuseppe and the team, we designed a custom 15m x 1.5m 2 lane synthetic turf sprint/prowler track, Tarkett flooring and 3 free weight areas in the striking red and black colour scheme. Life Fitness, Gym Gear and Concept 2 cardio equipment was supplied, as well as Gym Gear Elite Series strength equipment. Due to ceiling height restrictions, we had a custom cable crossover machine manufactured in custom colours, including the corporate logo on the weight stack guards. A range of Gym Gear and Jordan Fitness accessories were supplied to complete the installation. "I just wanted to say thank you to Craig and the team for their incredible job at Revolution PTS Bury Street. 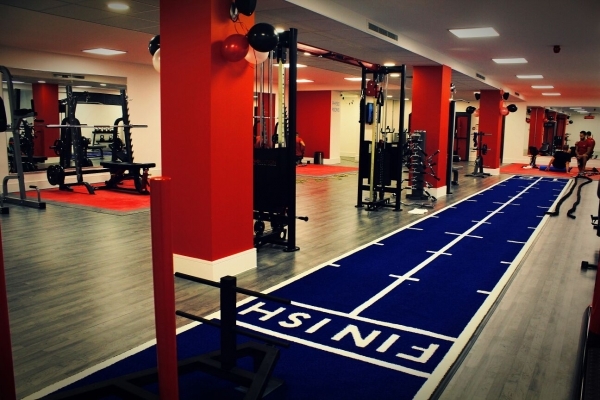 They are professional, bespoke gym designers, rather than just some guys providing equipment! What I especially liked was that you know all your products so well that you were able to help us select and layout our beautiful PT studio. Right from start to finish you have been a pleasure to work with, always offering an affordable solution for whatever our gym needs were. You have truly helped us to make our City gym a very special place for our clients to have fun and get in shape. 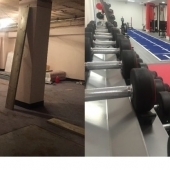 From all of us at Revolution Personal Training Studios, thank you, and we look forward to working with you again on our Angel, Islington project." Giuseppe Di Credico - Director Revolution PTS.